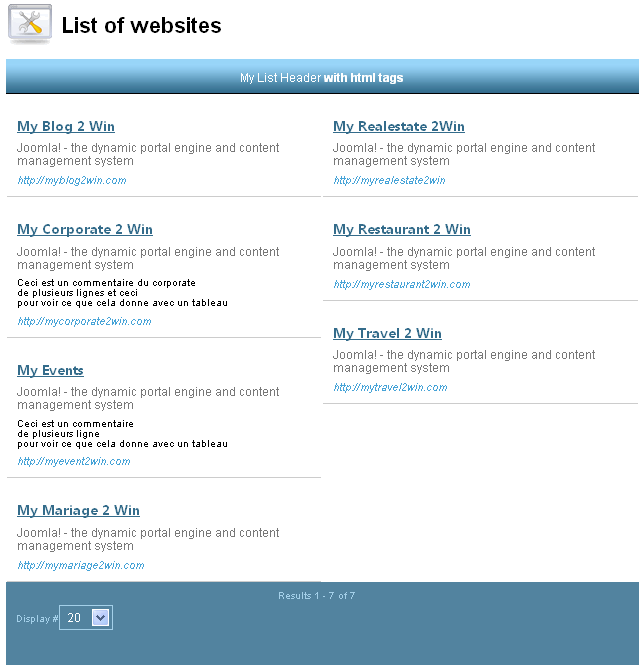 This JMS layout display the list of website that are present in a specific group of website and give the site title, site description in URL like you would have that with a website directoy. 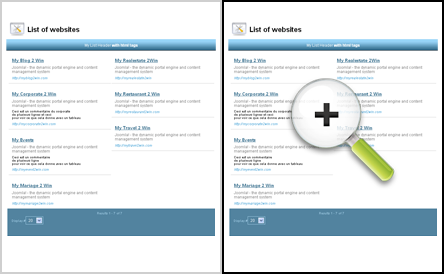 You can select the number of columns and also different style of rendering or create your own rendering based on existing one. 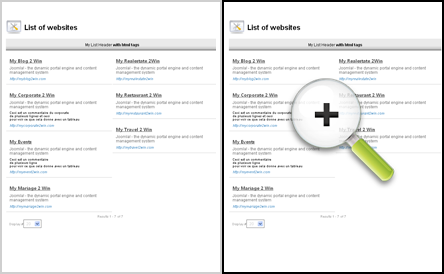 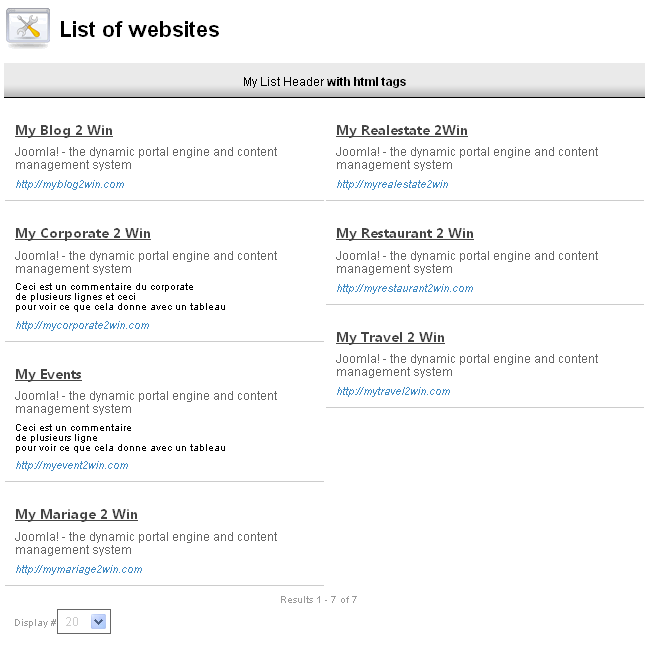 See an example of usage in www.mywebsite2win.com where a list of website is listed in the front page. 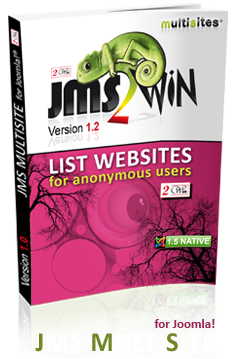 This extension require Jms Multi Sites version 1.3.39 or higher.